The United States hopes to reach agreement with Vietnam on another aircraft carrier visit to the country this year. It also expects such port stops to become a regular feature of the increasingly close relationship between the former Vietnam War enemies, a senior U.S. defense official said on Wednesday. 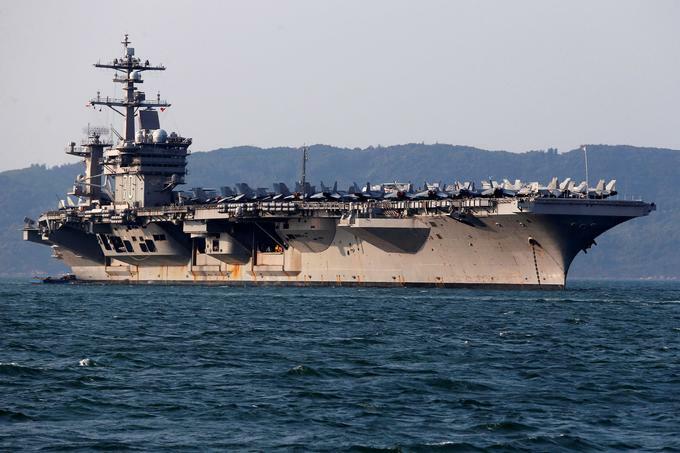 "We had our first aircraft carrier visit to Vietnam since the end of the Vietnam War and we very much hope we can reach agreement with our colleagues in Vietnam for a second aircraft carrier visit this year," Randall Schriver, the assistant secretary of defense for the Indo-Pacific region, told a Washington think tank. "We are discussing it with Vietnam right now. Our hope it that this can be a regular feature of the relationship. It would be a sign of a mature and a strategic relationship. We will work those details out with our partners in Vietnam," Schriver told the Center for Strategic and International Studies. Decades after the U.S. war in Vietnam, ties between the two countries are increasingly seen through shared concern over China’s aggressive behavior in the South China Sea, through which more than $3 trillion in cargo passes every year.